“Oh Beloved of the Father, I have opened the door of my heart, will I have to wait very long before You step in my chambers?” (November 11, 1993). Like many nations Canada and the United States have opened the door to their hearts for God to enter, which is one reason why they have asked Vassula to return. We are living in a time of mercy, where repentance and an intimate relationship with God the Father are crucial. Vassula visited these nations to deepen the knowledge of our Tender Father and further spread the message of Unity. 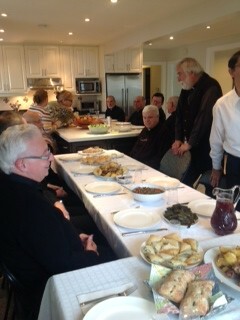 Several of the priests attended the witnessing meeting on November 10th at Ella’s Banquet Hall in Scarabough. 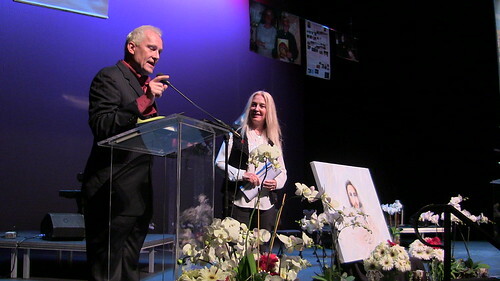 More than 800 people sat eager to hear Vassula witness, many having heard of the messages before and others having heard about True Life in God from the new book Heaven is Real But So is Hell. Vassula emphasised the love that the Lord has for Canada with a message that He gave over a decade ago... “Canada is Mine” (March 4, 1992). With that the audience erupted in a cheer, which set the mood for the rest of the witnessing. 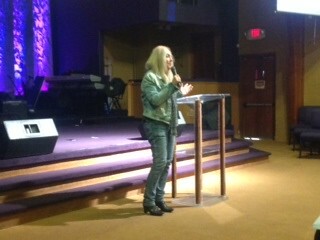 The joy of listening to the messages of True Life in God was evident on the face of all present. The words Vassula spoke touched the hearts of many present. 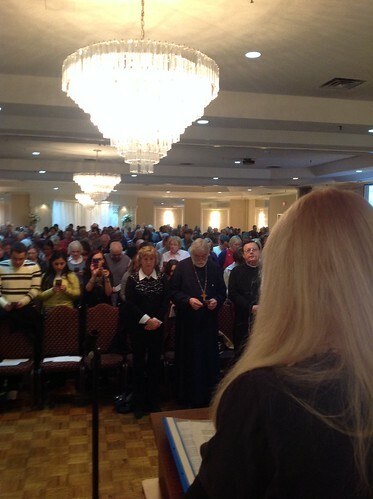 At the end of the speech, Vassula prayed with the audience the Prayer of Repentance and Deliverance. The following day we travelled to Windsor to meet with the new priest of the Maronite Church Monsignor Zouein, who is working for the Ecumenical Office. His parish already has parishioners from four different Catholic denominations and he moreover works on uniting his community through adoration and by praying the rosary. So when he learnt of how the messages of True Life in God work towards Unity, he was enthused to find out how he can be part of True Life in God. Whilst we were in Toronto, Vassula had a radio interview with STAR 102.5, a North Carolina radio station, informing locals of her upcoming witnessing event. Afterwards, Vassula was supposed to speak to a bible study group; however, the parish priest changed his mind the last minute cancelling the witnessing meeting. 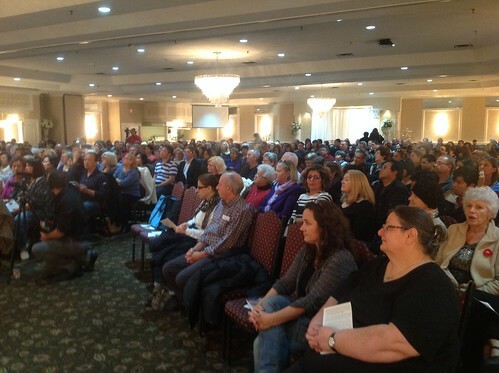 This did not deter the organisers from relocating the event to another location, a more intimate setting at Toula’s house. Here the readers of True Life in God came together to listen about our Tender Father and ask any questions that they may have had. In North Carolina we were greeted by Sara, from New York and Donna Davenport, who first read Heaven is Real But So is Hell only a few months before. The book led her to the messages, lighting a fire within her. Donna arranged for Vassula to have one interview before the witnessing meeting on a program called “Moore Minutes” at Sandhills TV3. Once the interview finished Vassula, Donna, Sara and I met for lunch with the Protestant Pastor Thomas Simpson, the Lead Pastor of Solid Rock Five Church Circut. Here they were able to discuss Vassula’s mission and the work that has been accomplished for True Life In God over the past 28 years. During this conversation, Vassula touched upon the pilgrimages that take place every two years, saying that here unity does not stay at words, but is visible and put to action. Vassula continued her witnessing that evening during dinner which was prepared by one of the volunteers. Over dinner one could sense the presence of the fire and hunger for knowledge for True Life in God. There was not one person who did not want to listen, ask questions and gain a deeper understanding of Jesus and Heaven. However, it was the spiritual intellect of Sofia, Donna’s six year old daughter that inspired us all. Seeing a young child become overly enthused by God, the scriptures and the messages was truly a breath of fresh air. The Holy Spirit ignited a flame within this young girl, enabling her to have such a deep spiritual dialogue with Vassula that left us all speechless. We would later find out that Sofia asks her mother to read the messages to her every day. With God’s guiding hand, the day of the meeting arrived with just over 100 people attending along with Pastor Mike, one of the pastors in the region. Many came from neighbouring states, even making a 14 hour car journey to listen to Vassula speak. 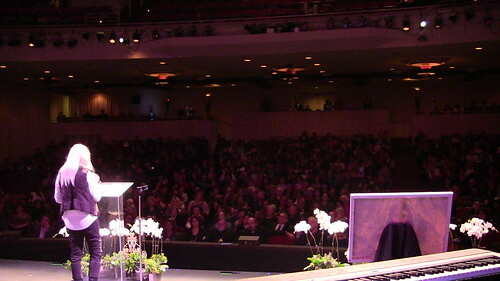 It was inspirational to see from how far people came to hear the living Word of God. There were many who were new to True Life in God, so Vassula shared how her Angel Daniel came to her one day when she was writing a shopping list. There were other anecdotes shared by Vassula that the audience enjoyed, and in more serious tone everyone understood that repentance and conversions are needed in our times. The second witnessing which consisted just as many days, took place at the Holiday Inn. The first day began with a heartfelt homily from Rev. Patrick Gallagher, who preached about the End of Times with the main question being “are we ready?” The Lord tells us that through humility and repentance we can prepare ourselves for the End of Times. 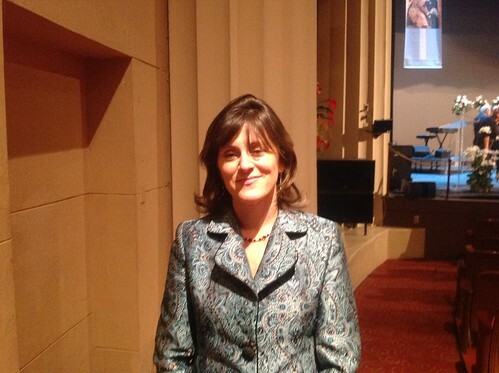 Vassula spoke with Rev. Gallagher after the mass and saying that “he was on fire” during the homily; incidentally, so was the audience that came to the meeting later that day. It was not surprising that once again over 100 people, including four clergy, from all over America drove to hear Vassula speak about the End of Times, repentance and our Tender Father. Several members of the audience were brought to tears when they heard the messages of Our Father’s love. It was clear to see that those who attended the meeting of November 17th were present because God directed them to the book “Heaven is Real But So is Hell”. Consequently, it was inevitable that after reading the book they were drawn to read the messages. 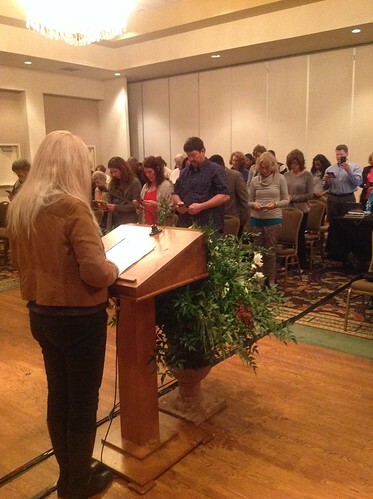 There was even a young woman present who heard about True Life in God after watching Vassula speak on YouTube. Rev. Berryhill who was one of the clergy present is working towards church revival in Memphis and for the past three years was looking for a way to accomplish this. Once he saw one of the flyers at his parish church advertising the meeting, he instantly felt the Holy Spirit tell him that “this woman would bring the revival”. One would think that after two days of back to back witnessing that Vassula would be exhausted. With God by Vassula’s side, that is impossible. 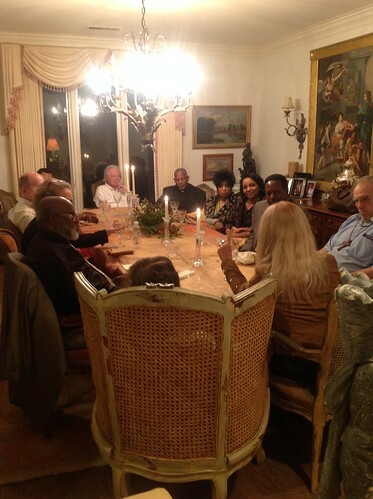 It became evident when over dinner she continued to witness to the clergy that attended the meeting. By the end of the evening Fr. Knight, a Jesuit priest, declared to all present that everything spoken that evening by Vassula “is true theology”. 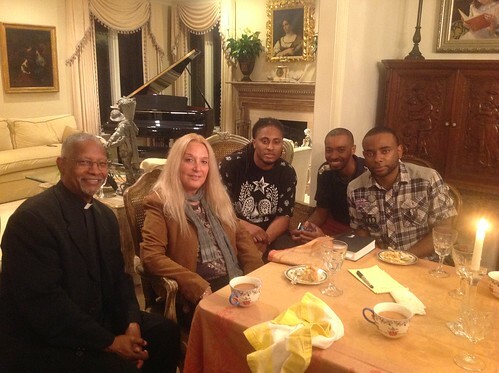 The theological discussion included three young men in attendance who had heard about Vassula through Rev. Berryhill. 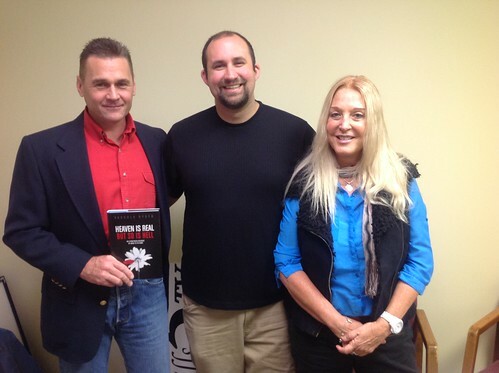 On Monday November 18th, Vassula had an interview at the WREG Radio station, the largest station in Memphis. 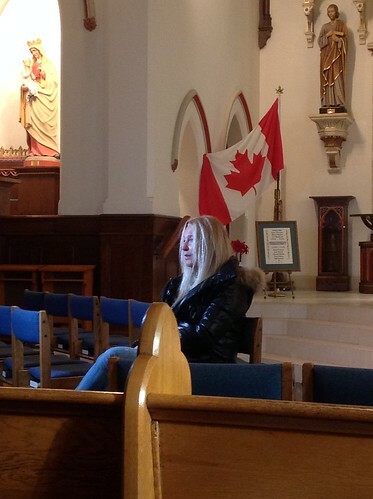 Marybeth interviewed Vassula for their weekly religious program. Having only read Heaven is Real But So is Hell, Marybeth was looking forward to reading the messages once they finished recording the interview. 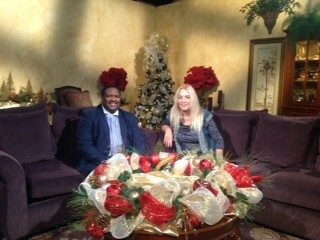 Next we went to TBN, where Vassula would meet Pastor Ricky Floyd on his program “Praise the Lord”. Prior to the interview, Pastor Floyd had informed Vassula that over 70% of the population in Memphis grow up without a father figure in their life. With this information Vassula’s focus was on how approachable the Father is in the messages, giving hope to Pastor Floyd. He felt that the messages will enable those in the community to approach God and have a more intimate relationship with Him. Vassula was asked to give a message to all those watching at home. She told the viewers that they descend from royalty because their Father is the King. Finally, she added: “lower even more now your voice so you may hear only Mine; lower your head, so that Mine would be seen; lower yourself so that I can lift you up to Me;” (September 26, 1991). The following day, before her flight to LA, Pastor Floyd asked Vassula to speak to some of the members in his community. Once Vassula started to speak, she became more animated and spirited, which left everyone captivated. Vassula spoke of Jesus and our Father, and a little about the Holy Spirit. Once the parishioners heard about the vast messages that describe the Holy Spirit, they immediately wanted to know more. From the church we went straight to the airport, where a pleasant surprise awaited us. As we were ready to board the plane for Los Angeles, we noticed a Heaven is Real But So is Hell book beside a young lady. 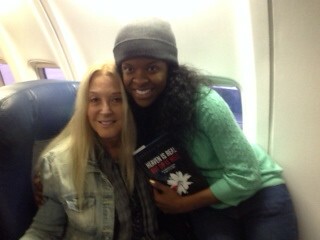 So we decided to stop her as she walked onto the plane, in order for Vassula to sign her book and take a photo with her. The young lady was so excited to meet Vassula, as she learnt about the Heaven is Real book during a short 4 minute TV interview Vassula gave on WREG TV, the largest TV station in Memphis. Whilst watching the interview, she decided to download a sample of the book from Amazon. Once she started reading the sample of the book, she knew she had to buy it at the airport before her flight. 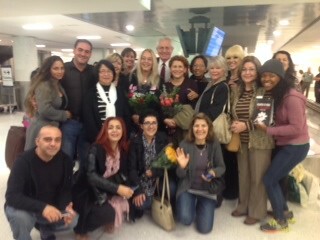 When we landed at LAX Airport we were warmly greeted with smiling members of the LA TLIG prayer group, who felt more like family than friends. We introduced the young girl from the plane to everyone present and invited her to the festival that Sunday. Needless to say, she was at the Festival accompanied by a friend of hers. Through prayer and God’s guidance, the organisers in LA decided to celebrate the 28th Anniversary of True Life in God with a Christian Unity Festival. For many days it was advertised on several local TV stations, from ABC to CNN. So as to promote the event, upon her arrival in LA, Vassula had interviewson Spanish, Russion and Armenian television programs. All of these interviews looked at how Vassula’s mission began the aim for Unity and repentance. There was one show, hosted by Destenee at TradioV, aiming to viewers between the ages of 16-26, which had over 1 million followers. 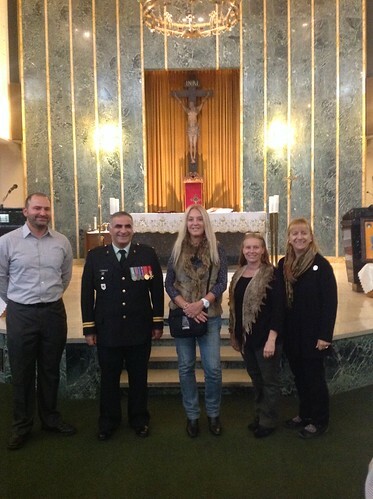 A couple of days before the festival, the TLIG family celebrated mass at St. Anne’s Malkite Catholic Church with Fr. Frouad and Archbishop Mouradian of Argentina. The service and festival were recorded by Telelumiere NOURSAT, which would be partially shown at the following week’s news highlights; its entirety would be shown at a later date. 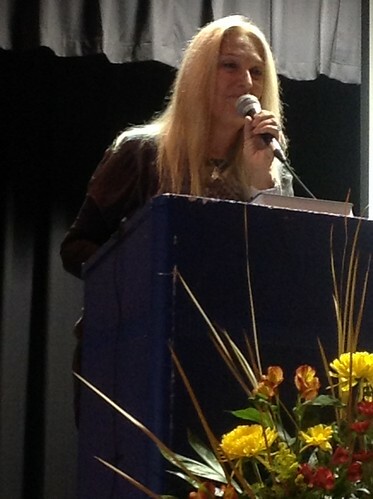 The Festival for the 28th Anniversary took place on November 24th at Alex Theater in Glendale. 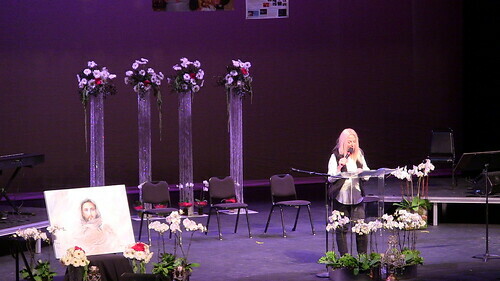 Master of Ceremonies, Sharon and Bob Jimenez, guided us through an afternoon of entertainment and spiritual talks. 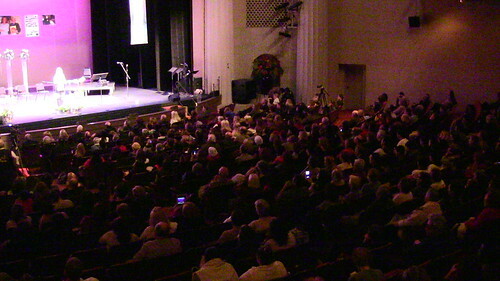 The theatre was filled with individuals enjoying the musical entertainment from Nabil Azzam with his Lebanese ensemble, and then later entertained by a boisterous Celtic group. There was also a Greek soloist Natalia who captivated the audience by singing several Greek songs and a Greek prayer “O Pure Virgin” (“Agni Parthene”). The Taize group, VOW (Vision of Worship), sang for the first time a rendition of ‘Emmanuel’s Song’. Ten years ago, God asked Vassula to sing Him a song, but Vassula did not have such a grace. Instead together with God, Vassula wrote lyrics to a song so that “even if you read them out with your heart, their intonation will turn into a melody in My Ears” (March 11, 1993). 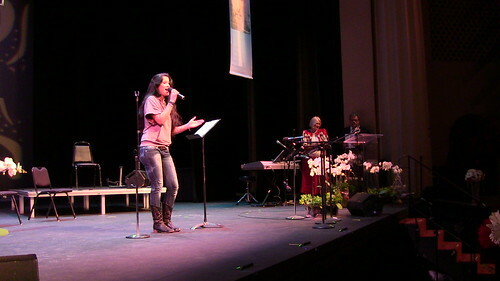 Claire Mansour, the festival’s host, surprised Vassula by creating music to the lyrics of the ‘Emmanuel Song’. Later in the program, filling the stage both with personality and a spiritual message that was shared with everyone present was the TV and Radio host Malcolm Out Loud. His inspirational talk about “making things happen” was one of the points many regarded when mentioning Christian Unity. In order for Christian Unity to be accomplished we need to set the TLIG Pilgrimages as our example, where “unity is visible and in action”. Malcolm also brought focus to Vassula’s new painting “Tender Father”, which was displayed for the entirety of the festival. The audience was left speechless when they were informed that it took Vassula less than 2 days to paint the moment when the Father appeared to her, stepping out of the clouds. Shortly after the 9th Ecumenical TLIG Pilgrimage, Archbishop Mouradian had an audience with Pope Francis. Archbishop Mouradian briefly spoke about his encounter with Pope Francis, where he gave Pope Francis the book, “Unity Virtue of Love”; (Unity extracts from the True Life in God messages.) The Archbishop continued to speak to us about the virtues of Christian Unity. Fr. Petar not only clearly defined the meaning of conversion, but explained how to truly convert. In order for conversion to take place, we must be “aware of our sins, acknowledge them sincerely and repent of them”. Later on, with a few words, he explained why conversion is so crucial to Christian Unity. The time for the main speaker to take the stage arrived. A spirited Vassula spoke about God’s love for his children, how He wants us to return to Him by truly repenting. In these difficult times everyone was comforted by the knowledge that God will not sit back on His throne and watch us suffer. Rather He will come to us “with mercy and poetry...anointing all those who approach Him”. Vassula stressed that believing in God is not enough, for even the demons believe in God; we need to understand God and become intimate with Him. For the anniversary of True Life in God, Vassula reiterated to us of the messages that God has given on Unity. He asks Vassula “to bring My people under one Name, My Name, and break bread together;” (October 14, 1991). The TLIG pilgrimages, guided by God, are where we can see unity in diversity, where miracles can happen; this is a foretaste of the Unity that is to come. The enthusiasm in the audience only grew as the festival progressed. It was clear that many were inspired to actively work towards Christian Unity. With a rejuvenated spirit we left, keeping in mind God’s instructions to “be united by following the rules of My Heart which are Love and Humility; the things you think to unite are earthly things and they will not bring you to unity; they can do nothing and offer nothing; but many of you have become slaves of your minds; so long as you do not reconcile in humility with each other and love one another as I love you, your separation will remain;” (March 27, 1992).